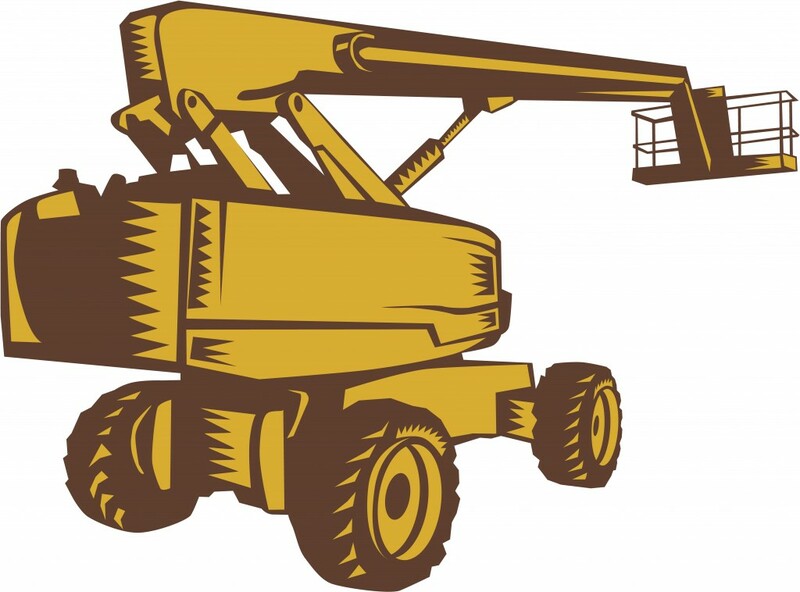 This entry was posted in Aerial Lift Certification on December 29, 2015 by admin. Aerial lifts and scissor lifts are two of the most popular industrial lifts in use. Each provides a safe method for working at height. However, they are designed and built for different types of above-ground work. An aerial lift includes any type of elevated work platform that can move vertically and horizontally. Some types can even revolve around a vertical axis. A scissor lift is a type of mobile scaffold where the platform only moves up and down. It cannot extend in horizontal directions. 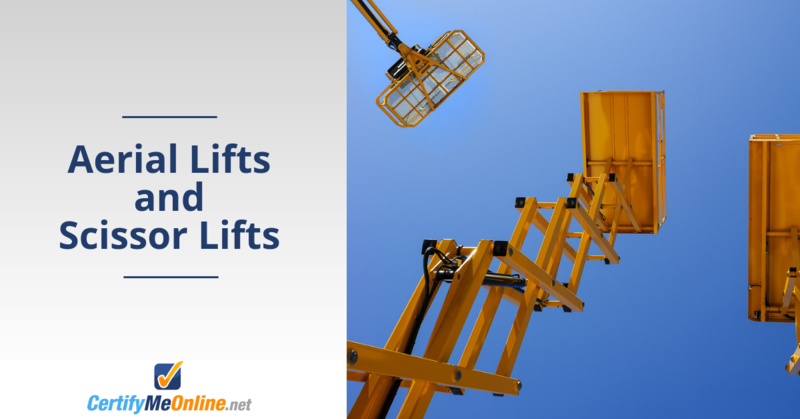 Knowing the differences between the two will ensure you use the right lift for the job. It will also improve worker safety and reduce the chances of an accident. Aerial Lifts are mobile elevating platforms used to provide temporary access for people or equipment to areas of great height. They work much like cranes, using a single, long pillar to hold the work platform. Their multi-jointed sections allow them to move in many different directions. This wide range of movement allows them to work on a wide variety of jobs. 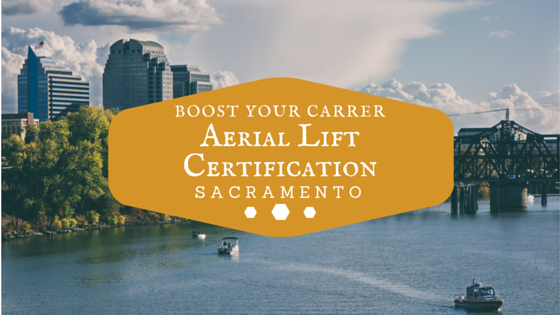 Aerial lifts often come with useful extra features, such as electrical outlets and power tool hookups. Other features can include specialized equipment, like the ability to hold and transport frames for windows. Aerial lifts offer more features and capabilities than scissor lifts. This makes them better suited for complex jobs that require an extra level of extension, such as reaching corners. A scissor lift is a movable working platform that only goes straight up and down. The platform sits on top of crisscrossing supports. These supports work together to raise and lower the lift’s work surface. Some scissor lifts use mechanical power. Others rely on hydraulics or pneumatic power. Scissor lifts have limited range and movement. But they come in many different types and sizes. This makes them a good fit for many different types of jobs. They are especially useful on job sites that can’t accommodate heavier hydraulic machinery. They are also well suited for hard to reach areas that need an extra level of extension. Aerial and scissor lifts can often be used on similar jobs. The main difference is the type of movement required to perform the job. Other factors include the difficulty of the job and whether extra tools and equipment are needed. Simple operation. Scissor lifts are easy to move from one job site to another. They’re also easy to operate. This helps reduce operator fatigue, which improves safety and productivity. Flexibility. Despite being limited to up and down movement, scissor lifts can be used in diverse work environments. This includes indoors as well as outdoors. Bigger platform. The platforms on scissor lifts have more room than other types of aerial lifts. This allows more than one person to safely work on the lift at the same time. It also provides ample room for tools and equipment. Lower cost to use. Scissor lifts cost much less to buy, lease or use than other types of aerial lifts. Compact storage. The unique scissor design gives scissor lifts a small storage footprint when not in use. This makes them ideal for warehouses and other areas that have limited space for storage. Scissor lifts have limited lift ceilings. Most can only raise workers 20 to 50 feet in the air. The inability to move horizontally doesn’t allow scissor lifts to move over and around obstacles. This makes them unsuited for certain types of jobs, such as bridge repair work. -Aerial lifts cost more to operate than scissor lifts. They also take up more room in storage. Whether you use aerial lifts or scissor lifts, don’t overlook the need for training and certification. When lift operators don’t have proper training, it puts their safety at risk. It also can lead to costly fines for your business. You can protect your workers and your business with professional training at CertifyMeOnline.com. Our online training is fast and easy. It is OSHA-compliant. And it costs less than you may think. Visit us online today! This entry was posted in Aerial Lift Training, Scissor Lift Training on December 16, 2015 by admin. Many top jobs require and value employees with a cherry picker certification. As a potential worker, this training shows that you take the job position seriously and value safety protocols, as well as doing everything you can to prevent accidents at work. This dedication to ongoing education and the desire to prepare for all types of situations is something employers will greatly appreciate and will want a part of their team. Receiving cherry picker certification is the best way to show you’re fully capable and well prepared to operate complicated machinery to a new or existing employer. This entry was posted in Aerial Lift Certification on December 4, 2015 by admin.